A sparkling green Murano glass and sterling silver bead to add to your collection. Discover all the ways to express yourself with one of a kind jewellery that reflects your life and experience. Inspired by your personal sense of style, Chamilia jewellery is as unique as you are. 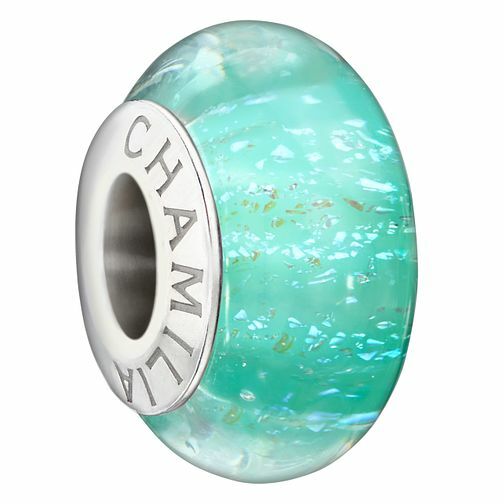 Chamilia silver 'Natural Elements' Murano glass bead is rated 5.0 out of 5 by 1. Rated 5 out of 5 by Anonymous from Beautiful The colour is more green than it looked on the website but this doesn't detract from it's beauty.